"Here's some important news about Google Apps—but don't worry, there's no need for you to take any action. We just want you to know that we're making a change to the packages we offer." "Starting today, we're no longer accepting new sign-ups for the free version of Google Apps (the version you're currently using). Because you're already a customer, this change has no impact on your service, and you can continue to use Google Apps for free." I hope the free package I use continues to be free! One of my favorite Google Apps is Drive (formerly, Google Docs). I can compose text, presentations, spreadsheets etc. and share them anywhere I can get internet. 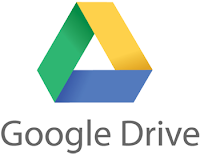 I've also been the guy at the office who can open almost any document - by uploading it to Google Drive. Hope to keep Googling for a while!